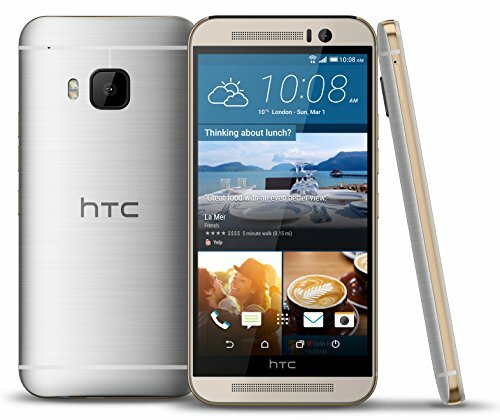 HTC One M9 is a top-level Android device released a few years ago, featuring a very fast 64-bits Octa-Core CPU (composed by a Quad-Core running at 2000 MHz and an additional Quad-Core running at 1.5 gigahertz), a pretty large 5-inches multi-touch display, a 20 megapixels back side camera and a 4 mega-pixels front facing camera. This cellphone feels a bit heavy for a device of this size, weighting 5.54 oz. Regarding its construction quality, this phone is mainly manufactured with Aluminium, which gives it a high quality finish. This phone is extremely thin and stilized, being just 0.38" thick. Whereas the HTC One M9 just has 5.69 inches long and 2.74 inches wide, it manages to contain a 5" screen. HTC made this phoneavailable just in lots of colors: black, gray, pink and gold. 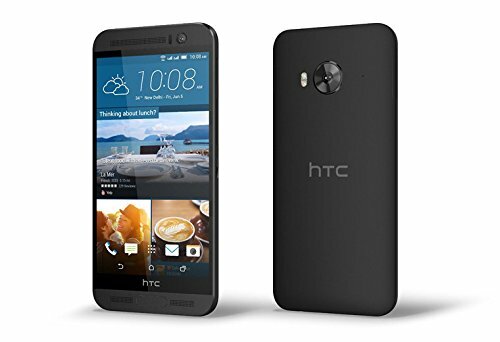 HTC sells this cellphone with a Qualcomm Snapdragon 810 MSM8994 chip, backed up by a very fast 64 bits Octa-Core processing unit (actually, it has a Quad-Core at 2 gigahertz and an additional Quad-Core clocking at 1.5 GHz) with a huge 3 GB RAM memory. Graphic calculations usually uses lots of CPU processing time, so it counts with an Adreno 430 graphic processing unit ticking at 600 MHz to unload the CPU. 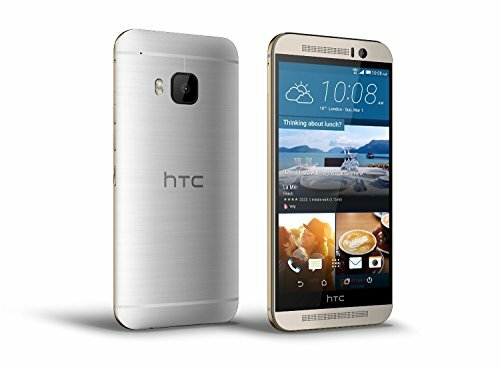 An excellent aspect of the HTC One M9 is its inmense 32 GB internal memory and an external memory slot, which allows the user to store hundreds of apps and even the heaviest games currently available without even thinking about running out of space at all. 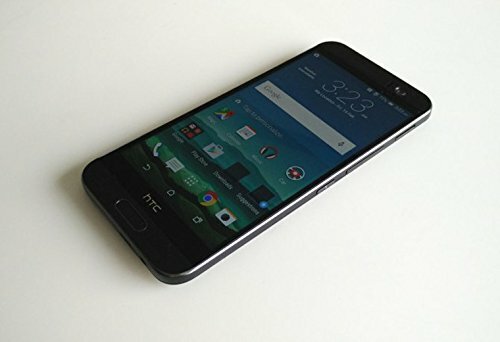 The HTC One M9 features two cameras, a 20 MP back facing camera and a 4 MP front facing camera. this cellphone's back facing camera lens has a 2.2 aperture so it can capture beautiful pictures even in poorly lit environments. It also captures videos in 4K 3840x2160 at 30 fps. This camera also counts with many great characteristics like auto-focus, flash, digital image stabilization, face detection shooting, smile detection shooting, HDR mode and geo tagging. HTC packed this phone with a gorgeous 5-inches screen, and a 1920 x 1080 (Full HD) resolution, giving this cellphone an amazing graphic quality. This screen uses S-LCD 3 capacitive technology, and can detect multi touch gestures. This cellphone offers wi-fi connection (and it can provide it to other devices around, as a mobile hotspot), LTE-A 4G , the fastest connection type or the fastest 3G internet connection, supported by HSPA, HSUPA and EDGE technologies. This phone uses a Nano SIM card for GSM networks. 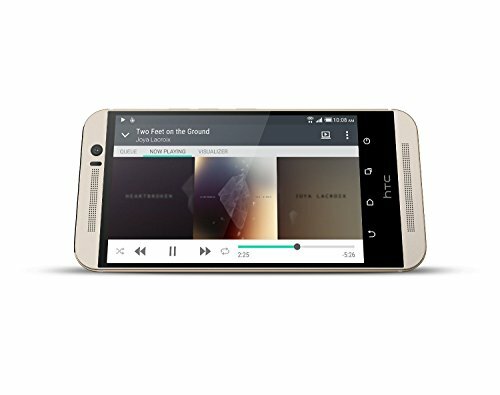 The HTC One M9 also includes many interesting features like Bluetooth (4.1), GPS, Infrared Blaster, NFC and Radio, and multiple sensors like Light Sensor, Proximity Sensor, Accelerometer, Gyroscope and Compass. This phone features a 2840 mAh great Li-Polymer non-replaceable battery, which is quite low for a demanding device like this. This device has an aproximate 391 hs stand by time and a 25.4 hours talk time according to HTC. An important issue to evaluate is that this phone's battery is non-removable	so you can't change it when it begins to last shorter, leaving no choice but to buy a new cellphone. This device costs just 269 dollars, an amazing offer for a great device like this. No matter whether you will use this device to play games, want this device to take tons of pictures, want it mostly for internet broswing and social networks or will use it for work, this cellphone is definitely a good choice .